Welcome to the Brackenstown Scout Group website. 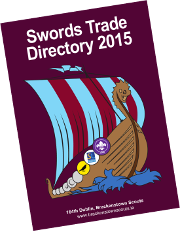 The Brackenstown Scout Troop is based in Swords, North County Dublin. It was established in 1980 and has been part of Scouting Ireland since its foundation in 2004. It runs beaver, cub, scout venturer and rover groups. If you would like to learn more about the group feel free to look around our site. If you are interested in joining us, we are very interested in hearing from you. Click Here to get in contact.